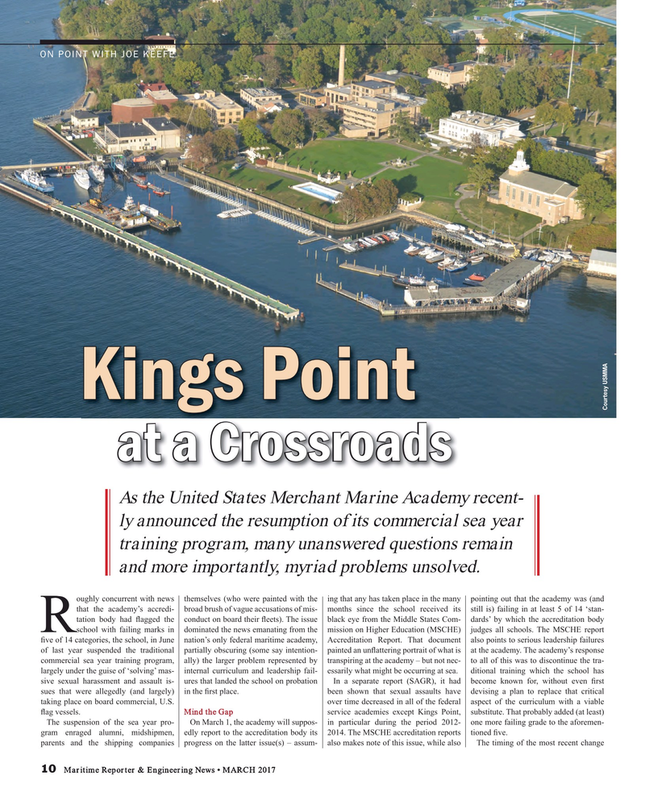 As the United States Merchant Marine Academy recent- ly announced the resumption of its commercial sea year training program, many unanswered questions remain and more importantly, myriad problems unsolved. The suspension of the sea year pro- On March 1, the academy will suppos- in particular during the period 2012- one more failing grade to the aforemen- gram enraged alumni, midshipmen, edly report to the accreditation body its 2014. The MSCHE accreditation reports tioned ? ve.